Bluehost are one of the largest providers of web hosting in the world – you can be assured your site is in good hands if you choose them for hosting. They currently offer excellent features for WordPress websites such as one-click installation of WP, Backups, Amazing customer support, cPanel to manage the site and lots more. 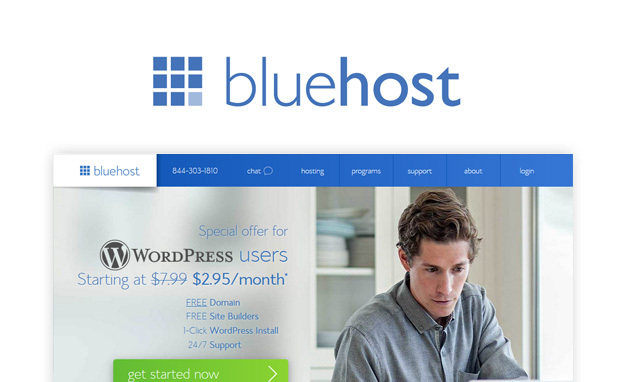 You can use our exclusive Bluehost Coupon code to get 65% off a WordPress hosting plan which includes a free domain name – simply click on the coupon link below to be taken to the signup page with your discount applied. Just click the coupon below and it will be copied to your clipboard to use on their site.